Organizations that handle any personal data of European residents, whether those organizations be within or outside Europe themselves, must support the requirements of the General Data Protection Regulation (GDPR). 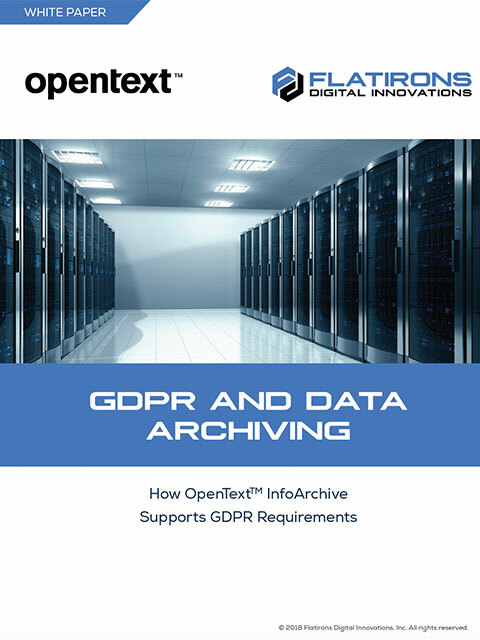 This white paper describes how the practice of data archiving with OpenText™ InfoArchive facilitates GDPR compliance with respect to data protection by design, consent, data portability, the right to erasure, pseudonymization, storage limitations, and more. Please complete the form to receive the white paper. Organizations must act now to thoroughly understand the personal data of European Union residents that they handle across all departments, identify the steps they need to take to become GDPR-compliant, and begin implementing their action plans.